BLACK YO)))GA has signed a worldwide deal with Screaming Crow Records to release its very first ever DVD/CD this Fall. 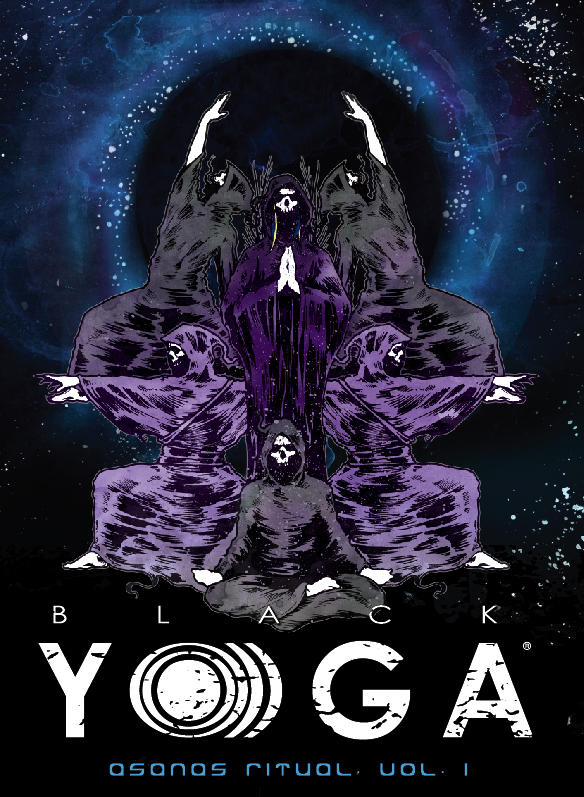 BLACK YO)))GA, created by 200-hour RYT-certified instructor, Kimee Massie, is vinyasa style yoga set to drone, noise, stoner metal, ambient, industrial, space doom, and other traditional meditation music. It incorporates basic poses in a relaxed environment, while focusing on safe body mechanics. It’s a traditional yoga class in practice, however darker than what you may typically associate with the practice in the Western world. Since 2012, the music for classes has been a series of mix-tapes. This particular recording, however, was performed and created by the BLACK YO)))GA Meditation Ensemble, an eclectic group of metallic hippies and doomlords, headed up by Kimee’s husband, Scott Massie. This ensemble has created a soundscape tailored to form a heavy meditative space and spread the benefits of yoga to people in their own art and music communities. People who may battle depression, anxiety, alcoholism, drug addiction, trauma/PTSD, phobias, dark passengers, etc., those who may not feel they fit into the typical yoga classes, the people who, in all rights, may need the balance and release of yoga the most to lead rich and fulfilling lives. This project consists of two releases. The first will be the BLACK YO)))GA DVD/instructional video, Asanas Ritual Vol 1, directed by Joseph Stammerjohn of Eyes To The Sky Films, containing a full one-hour yoga class, stylized and set to their original score. The second release will be a CD version of the soundtrack on its own. Both releases contain plenty of bonus features and will be available in stores and online by the first of October via Screaming Crow Records.